The Russians dug a nine-inch diameter hole 7.5 miles under the ground just to see what was there-until the Earth’s crust started melting their equipment. It is one of the weirdest aspects of the Cold War between the United States and the USSR: a race to build not the bigger rocket or the better city or even the superior technology. Instead, this was a race to see who could dig the deepest hole into the Earth’s crust. Like kids trying to dig to the other side of the planet to get to China or Australia, but with power tools and the backing of their governments and vastly greater sums of money to support their efforts. The US kicked off the race in 1961 with Project Mohole, which aimed at reaching the Mohorovičić discontinuity, which is the place where the Earth’s crust meets the mantle. Over the next five years, the team at Project Mohole succeeded in digging 601 feet (183 meters) down into the earth’s crust. The impressive part is that they were doing so through 11,700 feet (3,566 meters) of ocean water. They had enough other things to worry about and more costly efforts to support, including the Vietnam War and the ongoing race to put people in orbit. A few years later, knowing the U.S. had beat them to space – embarrassingly to them, having gone to space first AND sent the first woman into space – Russia got down to work. On May 24, 1970, work began on the Kola Superdeep Borehole, in the Pechengsky District of the country. Even that effort was five years in the making, as scientists developed the tools they’d need to dig and dig and dig until they could go no further. They would continue digging for more than three decades, determined to meet or exceed their original goal of drilling 49,000 feet (15,000 meters) below the surface. The equipment used is nothing short of an engineering wonder. On the site chosen for drilling, the Russians built a 200-foot-tall structure to house a drilling apparatus specially designed for this project. Instead of using a drill that would rotate from top to bottom, this one would only rotate at the very end, using a pressurized mud to make the drill bit turn. Keep in mind that the borehole the Russians were working on was just nine inches in diameter. Think about the size of a dollar bill and add half to one end of it. That’s nine inches. That’s the size of the entry used to dig deep down into the earth’s crust. In truth, the Russian borehole is a series of smaller holes all branching off from the central hole, kind of like a rabbit warren that leads in all kinds of directions into a central lair. As they drilled, the team broke record after record as they broke through foot after foot of soil and rock. By 1979, the Kola hole was deeper than the Berta Rogers hole in Oklahoma, which measured 31,440 feet (9,583 meters) in depth. A few years later, Kola surpassed the 39,000 foot (12,000 meter) depth. Naturally, this was a cause for celebration, so the Russian team decided to take a year off. They wanted to study the samples collected as well as the wear and tear on the machinery before going back to work. It might also have, unwittingly, been the start of the end for the project. In 1984, a section of the drill broke off and was left in the hole, which had only been extended by a few hundred feet to 39,587 feet (12,066 meters) since work resumed. The Russian team had to backtrack and start again from a depth of 23,000 feet (7,000 meters). The deeper down into the earth’s crust anything goes, the more pressure surrounds it. Pressure means heat and friction, which can do a real number on even the hardest and most resilient materials. Scientists knew and expected this, but even they were surprised by the brutal conditions 40,230 feet (12,262 meters) down. The temperature readings were closer to 356˚F (180 ˚C) when scientists anticipated readings closer to 212˚ F (100˚ C). Drilling stopped for a while in 1992. It was a good run while it lasted. The Kola Superdeep Borehole remains the world’s deepest borehole, although the Russians have outdone even that feat, digging a well in 2011 that goes 40,502 feet (12,345 meters) into the crust. The hole made it 7.5 miles into the earth’s surface, just shy of the 4,000 miles (6,400 kilometers) thickness of the crust. They tried their best! They just fell really, really short. They did, however, surpass the depth of the deepest ocean – 6.8 miles, or 11 kilometers—which should count for something. It’s better than any group of kids with shovels in their backyards can do. The silver lining in this is the scientific observations and discoveries that were ascertained and literally brought to light during these endeavors. Researchers were able to identify microscopic fossils from single-celled organisms miles below the surface, something previously inconceivable due to the aforementioned inhospitable conditions. They estimated the age of these former critters at an astonishing two billion years old. Two. Billion. Years. Old. For the trifecta: imagine the researchers’ surprise when they found water this far below the surface. The working theory was that the pressure squeezed hydrogen and oxygen atoms out of the surrounding environment. With that in mind, maybe it’s not so surprising they also found several types of gases, including helium, nitrogen and carbon dioxide, all made of elements high on the periodic table with relatively simple, straightforward atomic structures. Then there’s the weird stuff. Call it superstition, or power of suggestion, or just the incredible ability of the human mind to find voices and human-like things everywhere. The Kola Superdeep Borehole has been called the gateway, or mouth, or entrance, to hell, given its depth and the hot conditions recorded there. But some of the engineers working on the drilling said sounds emitted during the latter stages of the project heard noises akin to human moaning or wailing. The opportunity to lure a few scared souls over to the side of redemption proved too good for some to resist, and the U.S.-based Trinity Broadcasting Network pointed to these alleged recordings and sounds a verifiable proof of hell and, therefore the existence of god. The network said some 2,000 people repented and were saved after their special report aired. Some even claimed the water found in the hole was left over from the biblical flood of Noah. In 1997, the Guinness Book of World Records certified the Kola hole as the deepest artificial point of earth and UNESCO considers it an outstanding achievement of the 20th century. In subsequent years, longer drill shafts have been dug, but the Kola Superdeep Borehole remains the deepest in the earth’s crust. While it is without a doubt one of humanity’s most amazing accomplishments, Kola’s fate ended quietly. In 2006 the funding eventually ran out, and the drill equipment was removed. The site was officially abandoned in 2008 and the deepest artificial hole on earth was covered with a type of small manhole cover that might not look out of place on a city street. Most evidence that a work of staggering importance and scientific value took place on the site is unremarkable or long gone. In 2015, a ship set off for a drilling project off the coast of Sri Lanka to try and bore through 1.5 kilometers of rock with the theory that the crust-mantle boundary there is even shallower than the one off the coast of Mexico that the Americans tried to drill through in the 1960. But that trip was problematic from the start, as the team’s departure was delayed by a day; then a crew member got sick; then they had to spend a few days trying to find broken drill bit pieces using a super strong magnet. They did, however, vacuum up the largest-to-date chunk of ocean crust, measuring seven inches across and 20 inches long. So, again, not a total loss. Japan wants to go beyond what Russia tried to accomplish. A project is in development and scheduled to start by 2030 with the ambitious goal of drilling six miles (10 kilometers) under the sea floor to reach the earth’s mantle. Much like the Soviet-era work, Japan is taking its time, testing methods and materials and studying maps to find the best place for the best chance at the deepest drilling. A deep-sea drilling ship, called the Chikyu, is equipped with a drill capable of reaching through 2.5 miles (4 kilometers) of ocean to get to the ocean floor, after which it will work through 3.7 additional miles (6 kilometers) through the crust. Or that’s the goal, at least. Much like the previous efforts, Japan wants to learn more about the inner earth, to try and bridge the gap of knowledge of what we know about the earth beneath our feet compared to the stars above our heads. There are also questions about what types of life might have been possible under the surface, deep down, for so long or at what age or depth it might have stopped. Unlike the other nations that have taken on this work, Japan also has a specific topic about which the nation wants to learn more. The molten rock mantle layer affects volcanic activity and the motion of tectonic plates which, of course, result in earthquakes. The country’s government is providing a good portion of the funding for this project in the hopes not only of expanding scientific knowledge but shoring up its own country’s safety, eventually, based on the results of the team’s research. Of course, projects like this don’t come cheap, and even with government contributions, the overall price tag of $542 million is pretty steep. And that’s without having a precise location identified as their best possible place to start drilling for knowledge and to break on through to the other side (of the crust). In the meantime, there’s still equipment to design, develop and test. The six-kilometer-long drill pipe that will house the drill bit is still in the design phase, for example, so Japan won’t be digging in and getting its hands dirty this year or next. If you’re curious: many of the core samples collected during the Kola drilling days are still sitting on shelves, safe from the elements, in Zapolyarniy, a short distances south of the drilling site. Next time you’re in Russia, why not stop in and take a peek at the gifts from the deep. Ya dig? The Kola Superdeep Borehole sits in the Pechengsky District of Russia and was started on May 24 1970. 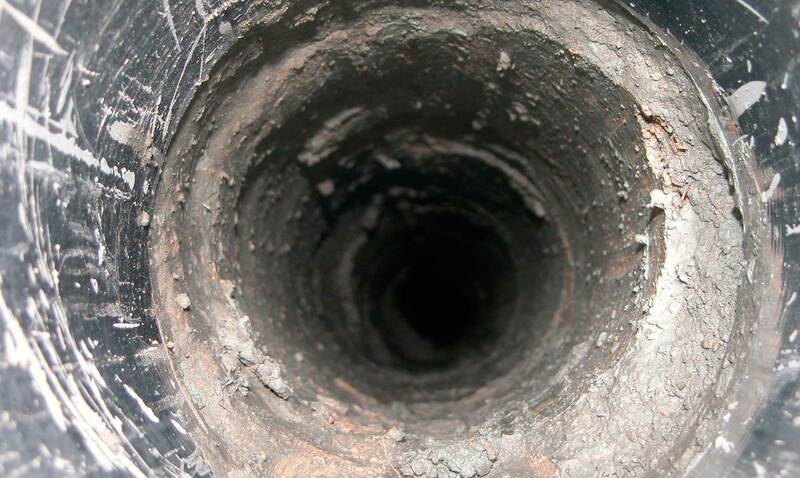 The borehole actually is a series of holes, all branching off from a central hole. The deepest portion of the hole, while only nine inches in diameter, is 40,230 feet (12,262 meters) deep. The hole remains the deepest borehole, despite the 40,502-foot-long (12,345 meter) Skhalin-I Odupto OP-11 well, dug in Russia in 2011. Scientists were stunned by the discovery of fossilized plankton, single-celled organisms two billion years old. Another surprise: water! It’s believed to come from tremendous pressure forcing out hydrogen and oxygen atoms. The Kola Superdeep Borehole was capped and abandoned in 2008, its top marked with an average-looking manhole. Next on the horizon: Japan’s attempt to dig even deeper, aiming for the Earth’s mantle, 6 miles (10 kilometers) under the sea floor. Drilling is expected to start by 2030 but the location of the project is undetermined. In the first phase, five holes were drilled deep into the earth off the coast of Guadalupe Island in Mexico. One stretched 601 feet deep (183 meters), a record for the time because of the depth of the ocean and the fact that the hole was drilled from a platform. When a core sample was taken, it brought up material including basalt 44 feet (13 meters) deep. This particular location was selected because it marks a boundary between the earth’s crust and its mantel, identified by a Croatian geologist. Scientists wanted to drill in this spot because it offered the thinnest portion of crust separating the surface from the mantel, a layer of melted rock. Plus, given the nature of the drilling environment, the samples retrieved from way down deep would be just about pristine and would provide scientists previously unavailable and inaccessible layers of the earth that had never been seen or tested in all of human history. Ultimately, the National Science Foundation took over the project, after the American Miscellaneous Society started it, with the latter dissolving shortly thereafter. Rising costs led to the project being stopped in 1966 as the US Congress eventually caught on to the fact that they were almost literally throwing money down a hole.